2006-2011 HONDA CIVIC CLOCK SPRING CRUISE EQUIPPED USED OEM! 1999-2000 HONDA CIVIC IGNITION DOOR TRUNK LOCK CYLINDER SWITCH SET MATCHED USED! Removed from a1998 HONDA CIVIC. Genuine O.E.M. HONDA Factory Used Part. SWITCH IS FULLY FUNCTIONAL; 100% PERFECTLY GOOD WORKING ORDER! NICE OEM GRAY FINISH. 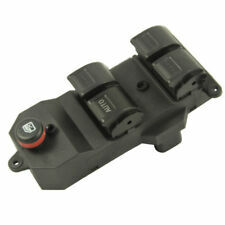 THE HEADLIGHT HIGH BEAM TURN SIGNAL SWITCH FOR SALE IS FOR A 1996-2000 HONDA CIVIC. 5 out of 5 stars - 1996-2000 HONDA CIVIC HEADLIGHT HIGH BEAM TURN SIGNAL SWITCH OEM USED! 8 product ratings8 product ratings - 1996-2000 HONDA CIVIC HEADLIGHT HIGH BEAM TURN SIGNAL SWITCH OEM USED! In 100% great working condition, TESTED. This unit will work in 2003-2005 Honda Civic W/Automatic Transmission. (1) Trunk Lock. 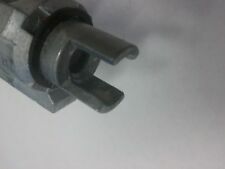 (1) Door lock driver side. (1) Door lock passenger side. (1) Seat Lock. Honda Civic. Windshield Wiper. Will not fit Hatchback model with rear wiper. 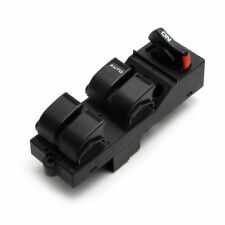 NEW Honda Civic Passenger Right Power Window Door Lock Switch. Nuevo Honda Civic pasajero ventana derecha interruptor de la puerta de bloqueo. NOT FOR HONDA CIVIC HYBRID. NO PARA HONDA CIVIC HYBRID. Civic 2016 2017. Red,Only Red. For these cars We will be happy to resolve any issues you may have in a cordial and friendly manner. Otherwise deal is final. All products are quality checked. 2012 ~ 2014 Honda Civic 9th Gen ! Fits on 2012 - 2014 Honda Civic 9th Gen ONLY. but doesn't fit on the CIVIC 9th SI. Switch Type : Hazard switch. Hazard light. Mini Cooper. Land Rover. 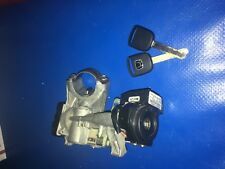 Up for sale is a new Genuine Honda Civic ignition switch as shown. Fits both automatic and manual transmission models 1998-2000 Civic. We are a Honda new car dealer with over 30 years in the Baltimore Maryland market. FitHonda Civic 2001-2005. Honda CRV 2002-2006. 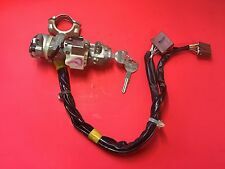 THE IGNITION LOCK CYLINDER SWITCH ASSEMBLY FOR SALE IS FOR A 1996-2000 HONDA CIVIC. 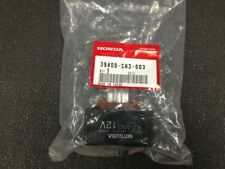 5 out of 5 stars - 1996-2000 HONDA CIVIC IGNITION LOCK CYLINDER SWITCH ASSEMBLY AUTOMATIC OEM USED! 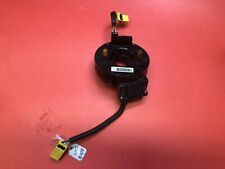 1 product rating1 product ratings - 1996-2000 HONDA CIVIC IGNITION LOCK CYLINDER SWITCH ASSEMBLY AUTOMATIC OEM USED! Trending at $149.99eBay determines this price through a machine learned model of the product's sale prices within the last 90 days. THE AIR BAG CLOCK SPRING FOR SALE IS FOR A 2006-2011 HONDA CIVIC. IT IS CRUISE AND FUNCTIONS ON THE WHEEL EQUIPPED. USED OEM, GOOD CONDITION. THE IGNITION LOCK CYLINDER ASSEMBLY FOR SALE IS FOR A 2003-2005 HONDA CIVIC. IT IS IN GOOD CONDITION. WILL REQUIRE LOCKSMITH OR DEALER PROGRAMMING! Trending at $87.49eBay determines this price through a machine learned model of the product's sale prices within the last 90 days. Headlight Turn Signal Switch Assembly. 2001 - 2005 Honda Civic 2Dr. 2001 - 2005 Honda Civic 4Dr. 2002 - 2005 Honda Civic 3Dr. 2002 - 2006 Honda CR-V.
"Standard Ignition Switch --. Condition : New. Therefore all implied warranties that may apply to your part are limited to the duration of this written warranty. Each warranty gives you specific rights, and you may have other rights which vary from state to state. Compatibility: I Imagine they'd fit any 96-00 Civic Sedan. D16y7 engine, With Automatic. 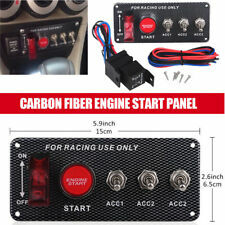 Included: Steering Column Combination Switch Assembly. I am parting out the whole vehicle except for the engine and the suspension. 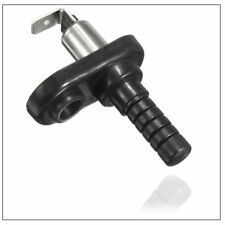 THE INTERIOR TRUNK LOCK CYLINDER WITH KEY FOR SALE IS FOR A 2003-2005 HONDA CIVIC. IT IS IN GOOD CONDITION. THE IGNITION, DOOR, TRUNK, AND SIDE SEAT TRUNK LOCK CYLINDERS FOR SALE ARE FOR A 2003-2005 HONDA CIVIC. THEY ARE IN GOOD CONDITION. WILL REQUIRE LOCKSMITH OR DEALER PROGRAMMING! HONDA CIVIC [FRONT_DOOR_SWITCH] Driver's; Sdn, window (master), w/o Japan built;. CIVIC 2007 -2011 Driver's; Sdn, window (master), w/o Japan built; SE. CIVIC 2007 -2011 Driver's; Sdn, window (master), w/o Japan built; LX. THE IGNITION LOCK CYLINDER FOR SALE IS FOR A 2001-2002 HONDA CIVIC. WILL REQUIRE LOCKSMITH OR DEALER PROGRAMMING! 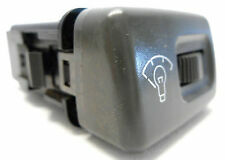 Honda Civic OEM Passenger Power Window Switch. Civic Sedan 1996-2000 (Front and Rear Right Passenger). Fits Front Right Passenger Door, Rear Right Passenger Door (sedan). Switch City USA. Why Buy From Switch City USA. REMOVED FROM 2015 HONDA CIVIC SI. CIVIC 14-15 Cpe, lamp and turn, EX-L (leather). CIVIC 14-15 Sdn, lamp and turn, EX-L (leather). CIVIC 14-15 Sdn, lamp and turn, Touring (Canada market) CONDITION THIS SWITCH IS IN GREAT USED CONDTITION AND ALL FUNCTIONS WORK AS INTENDED. "Standard Ignition Lock Cylinder --. Condition : New. Therefore all implied warranties that may apply to your part are limited to the duration of this written warranty. Each warranty gives you specific rights, and you may have other rights which vary from state to state. 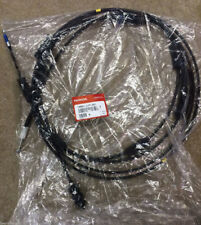 THE WIPER SWITCH FOR SALE IS FOR A 2001-2005 HONDA CIVIC. IT IS IN GOOD CONDITION. Removed from a1995 HONDA CIVIC. Genuine O.E.M. HONDA Factory Used Part. SWITCH IS FULLY FUNCTIONAL; 100% PERFECTLY GOOD WORKING ORDER! FREE OF ANY BREAKS OR CRACKS! The switch functions as expected. It does have dirt and wear from use. The switch is black in color. I willNOT be responsible if the part does not fit your vehicle. I have done my best to describe it and properly represent it with pictures. The switch is in working condition and is still usable. The markings are faded and the switch has dirt and wear from use. I willNOT be responsible if the part does not fit your vehicle. I have done my best to describe it and properly represent it with pictures. Up for sale is the coin tray with the cruise, mirror and sunroof switches pulled from a 2001 Honda Civic EX coupe with the 1.7 4 cylinder engine and automatic transmission. The switches are in usable shape and were working when removed. 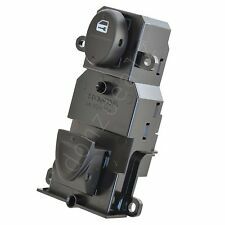 THE HEADLIGHT TURN SIGNAL SWITCH FOR SALE IS FOR A 2001-2005 HONDA CIVIC. IT IS IN GOOD CONDITION. 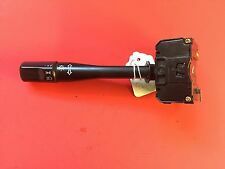 2016 - 2017 HONDA CIVIC EX SEDAN OEM WIPER/MIST SWITCH. THE AIR BAG CLOCK SPRING FOR SALE IS FOR A 2003-2005 HONDA CIVIC. IT IS IN GOOD CONDITION.